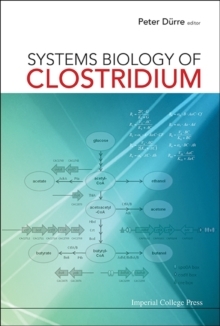 Systems Biology of Clostridium provides a comprehensive overview of system biology approaches in clostridia, especially Clostridium acetobutylicum. Systems biology is a rapidly evolving scientific discipline that allows us to understand and predict the metabolism and its changes within the bacterium as a whole.Clostridia represent one of the largest bacterial genera. This group contains organisms with metabolic properties that hold enormous potential for biotechnological processes. A model organism is Clostridium acetobutylicum that has been, and is still used in large-scale industrial production of the solvents acetone and butanol. Systems biology offers a new way to elucidate and understand the complex regulatory network controlling the different metabolic pathways and their interactions. All aspects from the development of appropriate experimental tools to mathematical modeling are covered, including a fascinating historical account on acetone-butanol fermentation in World War II.Written by world-class experts in their fields, Systems Biology of Clostridium is an essential source of reference for all biologists, biochemists, chemists, and chemical engineers working on biotechnological fermentations or industrial applications, as well as biofuels.